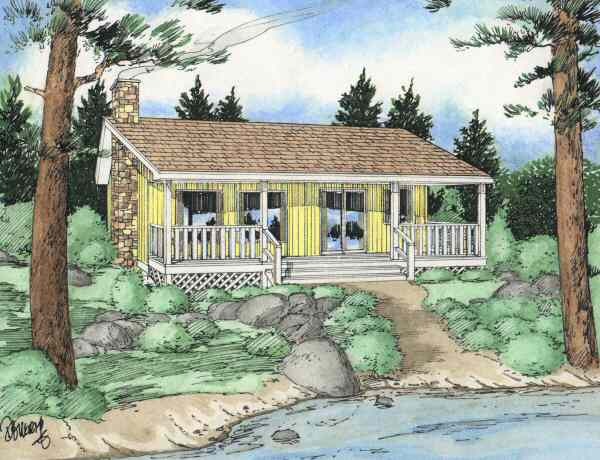 This lovely cottage will be most appreciated for its many windows and large deck. The house is 30 feet 6 inches wide by 29 feet 4 inches deep and provides 696 square feet of living space. The open area home includes a kitchen with an island and a dining area, a living room with a fireplace, a bedroom and a bathroom.